A self-driving Tesla comes with a hefty price tag, but a college student has given his Honda Civic similar abilities for a fraction of the cost. Brevan Jorgenson has unveiled a device that replaces the rear-view mirror, which controls the brakes, accelerator and steering – and it only cost $700 to build. 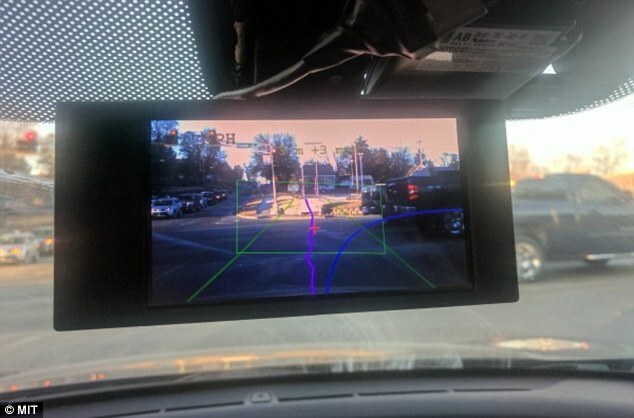 The DIY device uses the hardware design and software shared online by Comma.ai last year, which had originally planned to upgrade cars with the technology. Brevan Jorgenson, a senior at the University of Nebraska, used the free online hardware designs and software that was shared by Comma.ai online. The device, called Neo, was set to be sold on Amazon but was canceled when regulators questioned its safety. Jorgenson followed the instructions and made his own device for $700. The Neo device consists of an OnePlus 3 smartphone designed with Comma’s Openpilot software, which is now free. The software is a circuit board that links the device to the car’s electronics and sits in a 3D printed case. Once the technology was finished, Jorgenson took it for a test in late January – which he said was a success. Many technology an automobile firms are already testing modified cars on the road – and have been for years, reports MIT Review. But Jorgenson’s 2016 Honda Civic is considered part of the ‘grassroots test fleet’ that MIT Review says is ‘taking shape as tinkerers around the world strive to upgrade their own vehicles with computing gear that can share driving duties’. ‘I wanted to make my car a level two self driving car for a couple of reasons,’ Jorgenson, who is a senior at the University of Nebraska, told DailyMail.com. ‘I want to help elevate fears that many people have around a subject so polarizing as self driving cars, so I will frequently offer to let friends ride in or even test drive my car to see how well it works.